It may seem like science fiction but believe or not, the nanotechnology featured in The Trusted Thriller Series isn’t that far away. The nano-bombs created by terrorist collective Al Nadir that wreak havoc for the intelligence services, the Stealth Suits that give super spy Sam and CIA partner Rick a shield of invisibility whilst breaking in to a top nanolab in Dubai and the even the camouflage face cream that changes the external features of sadistic assassin Sabena to such an extent she can even seduce the US President Treeborne without him realising who she really is, may be just around the corner! It is well acknowledged that advances in nanotechnology will be responsible for the next paradigm shift in science and technology. Currently, materials can be manipulated and restructured at a nanoscale of 1-100 nanometers. Leading edge technologies such as the Microscopy and Atomic Force Microscopy allow scientists to image and move individual atoms on a surface. Literally, the manipulation of matter at geometries never before imagined let alone realized. These nano-advances are affecting all areas of technology, and many products containing nanoparticles are already on the market. The Beilstein Journal of Nanotechnology (with researchers from Virginia Tech in Blacksburg) identified in August 2015 that the Consumer Product Inventory – a record that monitors use of nanoparticles in consumer products – showed over 1800 consumer products ranging from personal care (toothbrushes, lotions, sunscreens, cosmetics), electronics, food and beverage, home and garden, and health and fitness to automotive. Industries and governments across the world are investing heavily in nanotechnology - in 2003, the governments of the industrialized countries spent almost US$ 3 billion on research and development in nanotechnology, and currently that figure has quadrupled. Nanotechnology can contribute to making products with stronger, lighter, cleaner and “smarter” surfaces and systems. They’re used in manufacture of scratchproof eyeglasses, crack-resistant paints, anti-graffiti coatings for walls, transparent sunscreens, stain-repellent fabrics, self-cleaning windows and ceramic coatings for solar cells. In both the Connected books, nanotechnology was applied in various ways: as a weapon, as a disguise, and as a means of making one invisible. 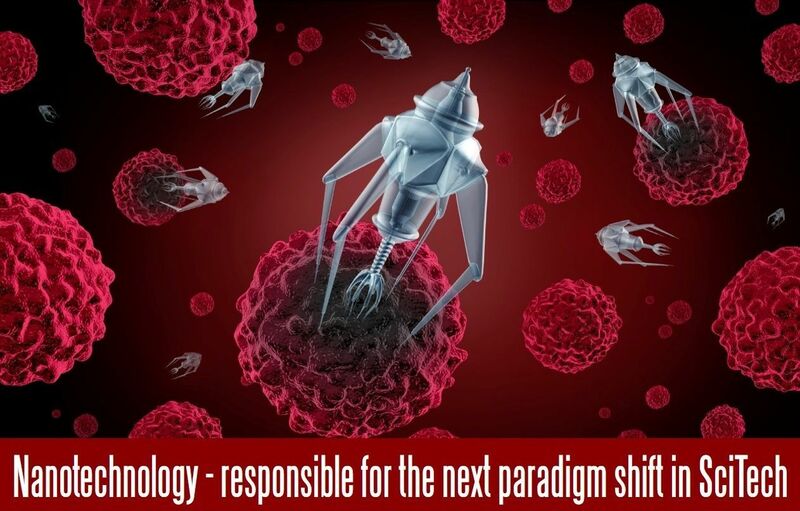 The military applications of nanotechnology are still being explored. The focus is on improving medical and casualty care for soldiers, producing lightweight, strong and multi-functional materials for use in clothing, both for protection and to provide enhanced connectivity to comms systems. The Ministry of Defence in the UK has predicted that technologies such as medical nanobots and nano-enhanced reconnaissance and communication devices (such as micro-radar for miniature vehicles) will begin to be used from 2030 onwards. The idea about nano-bombs, although not in the form described, isn’t that far away. I really don’t want to give readers nightmares, but scientists have simulated the explosion of a modified buckminsterfullerene molecule, better known as a buckyball, and shown that the reaction produces a tremendous increase in temperature and pressure within a fraction of a second. The nanoscale explosive, which scientists have nicknamed a "buckybomb," comes from the emerging field of high-energy nanomaterials. This is an area of nanotech that is in its infancy and eventually will have a variety of military and industrial applications. For the time being though, nano-bombs and smart nano-dust are still in the realms of fiction, and I for one, hope they stay that way!